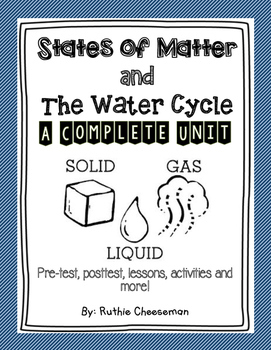 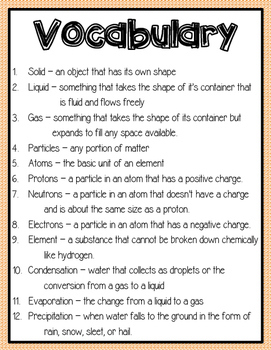 Here is a complete unit for those studying the water cycle and the different states of matter. 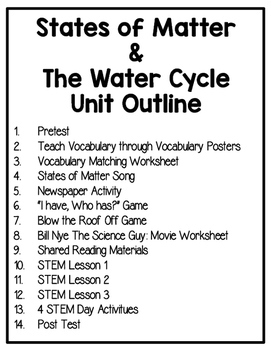 2 Shared Reading Passages along with a worksheet that has vocabulary, depth of knowledge questions, and a writing prompt for each one. 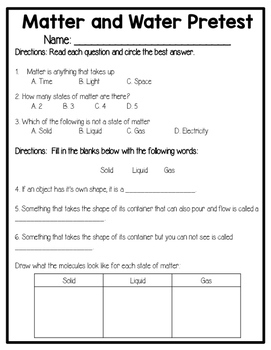 Three STEM discovery lessons that are easy to prepare to teach kids about the states of matter and the water cycle.